Congratulations to Laura Vaughan, Professor of Urban Form and Society at The Bartlett School of Architecture, who has been elected a Fellow of the Royal Historical Society (RHS). Since it was founded in 1868 the RHS has become the foremost society in the UK working with professional historians and advancing the scholarly study of the past. Fellowships are awarded to those who have made 'an original contribution to historical scholarship'. 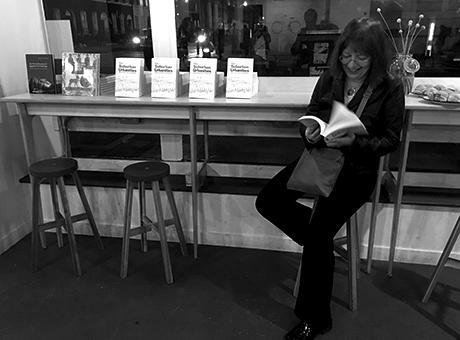 Vaughan’s appointment follows the launch of her new edited collection, Suburban Urbanities: Suburbs and the Life of the High Street, published by UCL Press. The book examines the suburb as an aspect of urban spatial-social complexity, rather than a subordinate part of the city. Anchored in the architectural research discipline of space syntax, the collection of essays offers a comprehensive understanding of urban change, touching on the history of the suburb as well as its current development challenges, with a particular focus on suburban centres. Professor Vaughan’s book Suburban Urbanities is available in a variety of formats, including free Open Access PDF. Image: Professor Laura Vaughan at the launch of Suburban Urbanities. Photo by Dr Tasos Varoudis.